Submarina California Subs has signed former NFL fullback and business entrepreneur Lorenzo Neal and his wife Denisha as area developers for eight counties in California's Central Valley. Their new goal is to recruit and develop 100 franchise locations over 10 years. The four-time NFL Pro Bowl and three-time All-Pro selection played for the San Diego Chargers, New Orleans Saints, New York Jets, and Oakland Raiders. Submarina, founded in 1977 and based in San Marcos, Calif., operates 50 locations in 5 states and has commitments for several hundred stores nationwide. FW Florida Inc. has signed a multi-unit franchise agreement to open five First Watch restaurants in North Central Florida including Ocala, Gainesville, and The Villages. The principals of FW Florida also secured development rights for the brand in Iowa. Joe Cody, president of FW Florida, has more than 35 years of restaurant experience and is a multi-unit, multi-brand franchise operator for Arby's, Qdoba, Old Chicago Pasta & Pizza, Erbert & Gerbert's, and Taco John's. He also was one of the original T.G.I. Friday's franchisees. Based in Bradenton, Fla., First Watch has 80 restaurants in 11 states; 3 are franchised and 4 are licensed. About 10 locations are expected to open in 2010. First Watch expects to grow to 110 restaurants by the end of 2012, with about a dozen franchised locations open and more than 30 in various stages of development. Terri Keogh has signed a multi-unit development agreement with Red Mango to open five stores in Florida. Keogh, head of Flairmango LLC, was awarded a franchise agreement for Alachua, Marion, Lake, and Sumter counties. Her first store, set to open this spring in Gainesville, will cater to the 60,000 University of Florida students with wi-fi, a quiet study area, a lounge area with a flat-screen TV, and acoustic guitar on weekends. Keogh's grandfather founded Castro Convertibles, a furniture retailer that began franchising in the 1960s and expanded to locations across the East Coast, including manufacturing plants and retail sites throughout Florida. Red Mango opened its first store in Los Angeles in July 2007 and has 60 locations in 14 states. Wingstop has opened its second restaurant in Mexico. NFL Hall of Fame Dallas Cowboys quarterback and Wingstop International spokesman Troy Aikman joined fans, Wingstop executives, and Mexico franchisees Jose Luis Serrato Villegas, Luis Antonio Ortiz Dominguez, and Jose Francisco Cantu Quintero to kick off the opening. The restaurant joins another location in Satélite, a suburb of Mexico City, which opened in December as part of an international franchise agreement with WIS de Mexico S.A. de C.V.
Zapopan, in the state of Jalisco, is the site of the newest Johnny Rockets in Mexico. The Guadalajara location is the first Johnny Rockets opening from Mexican entrepreneurs Juan Carlos Camarena and Jose Manuel Villaneuva, who are expanding operations throughout Central Mexico. Last year, Camarena and Villaneuva entered into an agreement to open restaurants in Jalisco and Nayarit. "We believe the success of our brand in Mexican markets will serve as a springboard to new franchise opportunities throughout Central and South America, as well," said Steve Devine, senior vice president of international development for Johnny Rockets. Since opening in Mexico City in 1993, the brand has continued to develop in Mexico with locations in airports and coastal resort destinations, with several more openings planned for the next two years. Founded in 1986 and based in Lake Forest, Calif., Johnny Rockets has 280 corporate and franchise-owned restaurants in 27 states, Washington, D.C., Puerto Rico, and 11 countries. Home2 Suites, a mid-tier hotel franchise concept targeting the extended-stay guest, recently received approval to develop in Mexico. Last fall the company received the green light to build in Canada. "Franchising outside of the United States will play an increasingly important role in the growth of Home2 Suites," said Bill Duncan, the brand's Global Head, Brand Management. The Home2 Suites franchise development team will conduct their first annual development forum in Mexico City on May 19. Units will average 90 percent studios (323 s.f.) and 10 percent one-bedroom suites (509 s.f.). Home2 Suites, which broke ground on its first hotel last December in Fayetteville, N.C., forecasts 100 properties open by year-end 2013, with 60 to 70 per year after that. Parent company Hilton Worldwide has more than 3,500 hotels in 81 countries. Elements Therapeutic Massage announced record revenue for its franchised studios in Massachusetts in 2009. Average revenues in the Bay State increased more than 37 percent, while average revenues nationwide increased 27 percent over the previous year. With 78 studios in 22 states, business has expanded each of the last three years since franchising began, with Massachusetts the number-one market in the system. Elements plans to award 12 more locations in Massachusetts in 2010. "With our Wellness Program, many clients are choosing to go beyond using massage for pain relief and seeking the ongoing wellness benefits that result from routine monthly massages at an affordable cost," said Bob Haimes, chief growth officer at Elements. That's a Lot of Dunkin'! Dunkin' Donuts reported strong expansion results for 2009. For the year, Dunkin' reported 351 net new locations worldwide, 171 net new restaurants in the U.S., and 131 new signed franchise commitments. In the U.S., 90 percent of the 171 net new restaurants were outside the brand's core New England market. Dunkin' signed multi-store development commitments in more than 20 areas around the U.S., including new markets such as Louisville, Birmingham, Dayton, Madison, and Erie, Pa. International expansion included net new locations in China, Korea, Thailand, the United Arab Emirates, and the Bahamas. Included among these new and planned outlets are nontraditional locations such as airports, arenas, travel plazas, and universities. Based in Canton, Mass., Dunkin' has more than 9,000 restaurants in 30 countries with global system-wide sales in 2009 of $5.7 billion. Healthy Fast Food Inc., parent of U-Swirl International Inc., announced 2009 revenues from U-Swirl Frozen Yogurt operations of $1.34 million, and an operating profit of $301,000 from company café operations. The company, based in Henderson, Nev., launched its U-Swirl business in March 2009. As of December 31, U-Swirl had five company-owned cafés operating, and opened a sixth this February. U-Swirl also had two franchised cafés in operation at the end of 2009, one in Henderson and one in Reno. In November, the brand awarded area development rights for Phoenix to a multi-concept franchisee for a minimum of 18 U-Swirl cafés in the next 5 years. This year the brand signed an area development agreement with RMR Group LLC to develop a minimum of three U-Swirl cafés on the Jersey Shore in Monmouth County, N.J.
Sarku Japan, the Japanese QSR chain popular in shopping mall food courts, has hit the streets, debuting its first franchise opening in Champaign, Ill., late last year and recently, its first corporate storefront location, in Woburn, Mass. Four additional storefront locations are under way in New York City, Washington, D.C., and Los Angeles. The company is forecasting 1,000 new units of its new storefront Teriyaki and Sushi Express concept to open within the next 10 years. Huntington Learning Center has awarded a franchise agreement to Hands On Hartford, a Hartford, Conn.-based social services nonprofit agency that specializes in creating volunteer opportunities. This is the first nonprofit-owned franchise in Huntington's 32-year history. Hands On Hartford is providing free tutoring services to Hartford students through a program funded with federal Title I grants provided by the No Child Left Behind Act. "In our quest to leverage the power of a franchise to further Hands on Hartford's mission, we did an extensive nationwide search and looked at many different franchise concepts, and Huntington came out on top," said Doug Sudell, CEO of Hands On Hartford. FRSTeam (Fabric Restoration Service Team) has grown from 28 locations in April 2009 to 48 locations today. The company has expanded into areas such as Dallas-Ft. Worth, Phoenix, Wichita, Rochester, N.Y. and, most recently, Salt Lake City. FRSTeam also was named to Franchise Business Review's 2010 Franchisee Satisfaction Awards in the Small Class and Services categories. Founded in 2005, FRSTeam offers fabric restoration services to property insurers and loss and damage mitigation contractors in 43 states and Canada. Boardwalk Fresh Burgers & Fries has signed a master franchising deal with Florida entrepreneur Irene Jung for 50-plus units across Florida. Jung, who was corporate controller for Mediacopy, a $150 million company, plans to open four corporate locations in South Florida and then begin franchising the rest of the state. 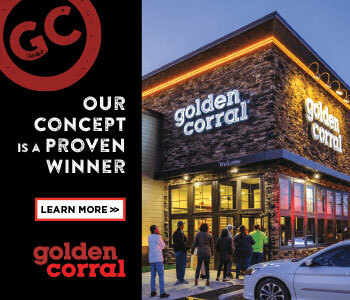 The brand has five locations open (in Virginia, Maryland, Pennsylvania, and California) and will soon open a sixth unit in Sandy Springs, Ga. An additional 188 restaurants are in development in Washington, D.C., Maryland, Virginia, Georgia, North Carolina, and the Middle East. Founded in 2007, this fast casual concept is the sister company of national brand Boardwalk Fries. The company that says anything can be wrapped, is finding a ready market for its recyclable, antimicrobial, UV-resistant plastic film. Fast Wrap sold 49 franchises in 2009, with 50 to 75 openings projected for this year. The brand, which opened its first unit in 2007 and had grown to 8 locations by January 2009, now has more than 60 franchises open nationwide. From outdoor furniture to RVs to entire buildings, "Anything you can think of can be wrapped," says the company's COO Chris McMillan. "It's far more cost-efficient to simply protect your assets each year than to replace them if weathered or ruined by the elements." Through a co-branding deal with mmmuffins, Bruegger's has entered the Canadian market with three locations in Toronto. Bruegger's Enterprises Inc. acquired the 32-unit mmmuffins chain last November when it purchased the restaurant holdings of Toronto-based Timothy's Coffees of the World. Co-branded Bruegger's mmmuffins locations will add bagels to their menu of freshly baked muffins, cookies, croissants, Danishes, soups, sandwiches, and freshly ground coffee. Founded in 1983 and based in Burlington, Vt., Bruegger's Enterprises Inc. (an affiliate of Sun Capital Partners) operates 292 locations in 26 states and the District of Columbia along with the three co-branded locations in Toronto.